Leading Manufacturer of flexiol ao fa6025d, flexiol ao fa6025 and flexiol ao fa6010 from Chennai. Flexiol AO FA6025D is an aspheric acrylic foldable IOL’s made of FDA approved highly bio-compatible ultra pure monomer with low refractive index and blocking material. 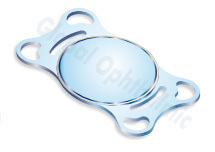 Our Aspheric IOL’s designed with negative aberration neutral optics with 360o Advanced step square edge for superior optical performance and defence against PCO. Lower refractive index which minimizes problems with glare, external and internal reflections and other unwanted visual phenomena. Our Aspheric IOL’s to be safely implanted in all patients whatever their corneal spherical aberrations. 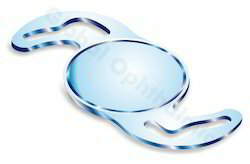 Aberration Neutral Aspheric optics-negative spherical aberration -0.27* wave front technology. Excellent quality of vision and greatly increased contrast sensitivity. Peak visual performance in night vision and decreased glare. Hydrophobic surface optics helps delayed PCO and well polished haptic for ease of unfolding. 360° Square edge design provides uninterrupted contact at the haptic-optic junction to limit LEE's migration. Pre-vaulted haptic design-continuous posterior surface contact with the capsular bag to prevent PCO. The advanced IOL design-Stable and Perfect centration and ultimate stability in the capsular bag. Optics are YAG Laser Compatible. ST Steam sterilization does away with the hazards of ETO residue. 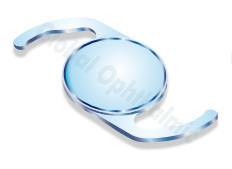 Flexiol AO FA6025 is yellow series acrylic foldable IOL’s made up of FDA approved highly bio-compatible ultra pure monomer with UV-A blocking and violet blue light filtering material which contains the same UV-A blocking and violet Blue light filtering chromophore that is in human crystalline lens. Flexiol AO FA 6010 is an aspheric acrylic foldable IOL’s made of FDA approved highly bio-compatible ultra pure monomer with low refractive index and blocking material. Aberration Neutral Aspheric optics –negative spherical aberration -0.18* wavefront technology. Excellent quality of vision and greatly increased contrast sensitivity. Hydrophobic surface optics helps delayed PCO and well polished haptics for ease of unfolding. 360o Step square edge design provides uninterrupted contact at haptic-optic junction to limit LEC’s migration. Pre-vaulted haptic design – continuous posterior surface contact with the capsular bag to prevent PCO. The advanced IOL design – stable and perfect centration and ultimate stability in the capsular bag. Optics is YAG laser compatible. Steam sterilization does away with the hazards of ETO residue. Looking for Flexiol AO Lense ?